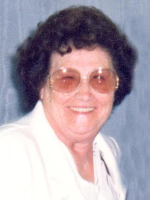 ALBANY – Clara H. Pelton Conti, 92, of Albany, passed away peacefully at home on Monday, October 17, 2016, while being cared for by her devoted son Tom and daughter-in-law Judy. Clara was born in Albany, the daughter of the late Ezekiel and Eliza Garrison Pelton. She worked for the S.S. Kresge Co. for many years and retired from the Albany County Dept. of Social Services. In their retirement, Clara and her husband Anthony traveled extensively. Clara was predeceased by her beloved husband Anthony Conti. She is survived by her children Thomas Conti (Judy), Daniel Conti (Jane), William Conti (Teri), and Elizabeth Bishop (the late Fred). She is also survived by many grandchildren and great grandchildren, and nieces and nephews. The youngest of her family, she was predeceased by her fifteen brothers and sisters. The family wishes to extend a sincere thank you to Dr. Maria Pesquera for her continuous care of and compassion toward Clara. Funeral services will be held privately at the convenience of the family. There will be no calling hours. Entombment will be in St. Agnes Cemetery, Menands. To leave a message of condolence for the family, please visit www.HansFuneralHome.com.